I've been checking everyones sites for a great Halloween Layout. You were the one to come through! Thanks a bunch! Thanks for the darling layout! When I try to add the header, it always saves too small- it doesn't fill in the whole border area-even when I don't select "shrink to fit" any suggestions? Thank you for the cute layouts. I used the 1st on in this post. 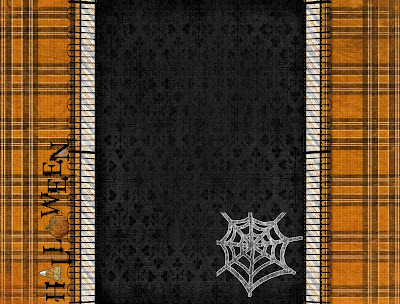 I had a different fall layout and was not planning on doing a halloween one but then I found your blog and had to change it. Are you going to post any fall ones after halloween is over? Anyway thank you. 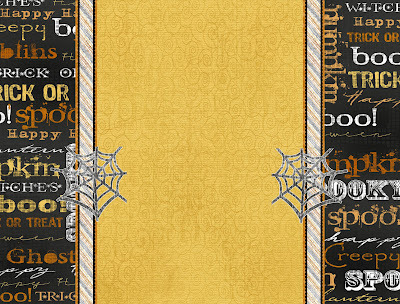 I too wasn’t going to do a Halloween page only a fall one till I found your site from one of my friends. I love your layouts. I too am having a problem with the header even showing. Also I was wondering if you have any 3 column layouts. I usually use a 3 column but I really like your layouts :) Thanks for your hard work, any suggestions would be great, you can email me at tammyln13@gmail.com if you have time for any suggestions.